The group left the CIA heavily bruised with the publication on Tuesday of nearly 9,000 documents it said were only part of a huge trove of records, plans and malware code in its possession. WASHINGTON: Another major leak of top secret materials has again put America's top spies in hot water -- while delivering a coup for anti-secrecy group WikiLeaks. The group left the Central Intelligence Agency heavily bruised with the publication on Tuesday of nearly 9,000 documents it said were only part of a huge trove of records, plans and malware code in its possession -- purportedly the entire CIA hacking arsenal. 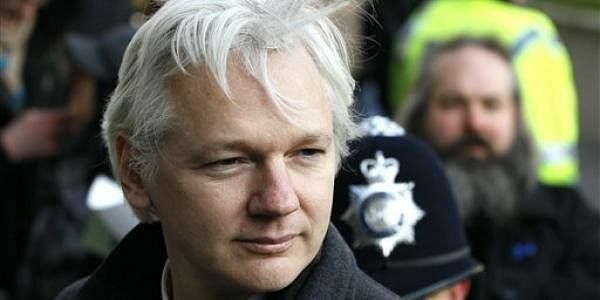 Adding insult to injury, WikiLeaks founder Julian Assange scolded the agency as extremely careless to have lost control of the materials -- WikiLeaks said they got access to it via the circle of private contractors to US intelligence. "This is a historic act of devastating incompetence, to have created such an arsenal and then stored it all in one place," Assange said. President Donald Trump said the leak shows the agency's operations are "outdated" -- and notably did not criticize WikiLeaks for baring US secrets. It was the fourth major leak of top secret materials from US spy agencies in less than four years. The CIA's sister spy body, the National Security Agency, was rocked in 2013 when contractor Edward Snowden released documents showing how it secretly raked up data on Americans' telecommunications and spied on US allies. Early last year, a secretive hacking group called the Shadow Brokers offered for sale online a batch of hacking tools stolen from the NSA. And in late 2016, the NSA discovered that another contractor, Harold Martin, had removed to his home an estimated 50 terabytes worth of data and documents, including reportedly sensitive hacking tools. So far, there is no evidence that Martin's cache left his control, and the government charged him only with removing classified materials in violation of his contract. The result, said security consultant Paul Rosenzweig, is "the continuing erosion in trust of and damage to the reputation to the American intelligence community." "Within the community now, everybody's looking over their shoulder," he said. "Outside the community, frankly, if I were the British intelligence or French intelligence or Israeli intelligence... I'd think twice before giving anything to the Americans." The WikiLeaks release has set off an intense probe into how the materials -- which detailed how the CIA focuses on breaking into personal electronics like smartphones -- got away from the agency. The investigation could focus on whether the CIA was sloppy in its controls over private contractors it hires to help do work like creating and testing hacking tools. Or, as The Washington Post reported, it could be "a major mole hunt" for a malicious leaker or turncoat inside the agency. A leak from contractors would not be a complete surprise. Both Martin and Snowden had worked for one of the top private companies working in the intelligence sector, Booz Allen Hamilton. Tim Shorrock, journalist and author of "Spies for Hire: The Secret World of Intelligence Outsourcing," said there has been "insane growth" in the use of contractors in cyber operations by US intelligence agencies, including in the military. "That bureaucratic structure is just right for leaking. Somewhere along the line, you're going to get people that ask questions," he said, referring to Snowden's decision to reveal NSA secrets after finding he did not support what the agency was doing. But major leaks have not all come from contractors. Chelsea Manning, whose leak of hundreds of thousands of pages of diplomatic communications in 2010 made WikiLeaks famous, was a US army intelligence analyst at the time. Speaking not for attribution, some US intelligence community officials cast doubts on the contractor explanation, without indicating the direction of the probes. Some pointed fingers at Russia, after US intelligence concluded that Moscow interfered in the American elections to support Donald Trump in his ultimately successful campaign against his rival Hillary Clinton. "There's a lot of speculation that it was the Russians handing off to WikiLeaks to embarrass the US. But there's a whole lot of postulating there without any facts," said Ross Schulman, co-director of the Cybersecurity Initiative at the New America think tank in Washington. As for WikiLeaks's claim that it came from contractors, he added, "I take the things that WikiLeaks says publicly with a grain of salt."